JAINA Newsletter: Forgiveness Day, World Compassion Ahimsa Day, JYEP, and more! We hope you and family had good sukh shata and Michchami Dukkadam upon conclusion of Das Lakshan Parv. India’s Prime Minister Modi held a private lunch-on with Community Leaders last Saturday in San Jose, California. JAINA was invited to participate in the lunch. I met and requested PM Modi to strive to stop beef export from India. PM Modi also held Town Hall mtg. on Sun evening. Several JAINA members were invited and attended this Town Hall mtg..
Kindly share your thoughts on what initiatives JAINA EC should drive over next 2 years at adomadia@cisco.com. On Sept 17, 2015, nearly two hundred children, teenagers, and young professionals gathered braving the sudden downpour to celebrate Paryushan Parv and Pratikraman. During the time of Paryushan Parv, morning yoga coupled with afternoon Kalpasutra study were conducted at JSMT. 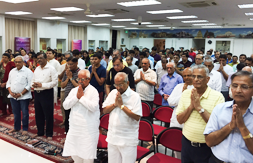 The offerings of Ashwinipragyajis pravachan, evening pratikraman and swadhya were enjoyed by the community. Nearly 85 members were in attendance of the Supan ceremony. Samvatsary pratikraman was carried out in 3 locations. 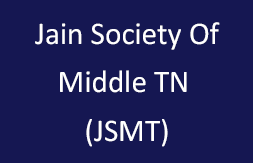 The JSMT also celebrated two atthais, one khshirsamudra tapasya and six upvas. 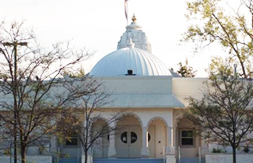 On October 3, JSGD is also celebrating JAINA Kshamavani Day by inviting Samanijis from Miami for an English lecture to youth, professionals and interfaith leaders to talk about the significance of forgiveness and it's impact on daily life from 10a-12:30p followed by a Swamivatsalya Lunch. The 2nd phase of Jain Youth Exchange Program [JYEP]. This year's inaugural JYEP Program will take twelve Jain Youths (ages 18 - 25) from Canada / USA to India for approximately three weeks trip starting on December 18th 2015 and finishing on January 10, 2016! 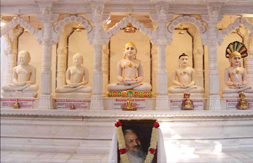 The Jain Youth Exchange Program offers exposure to different cultures ranks as one of the most powerful ways to promote Indian culture and Jain way of life. The Jain Youth Exchange program intends to provide hundreds of young students with the opportunity to meet people from other countries and to experience new cultures, planting the seeds for a lifetime of international understanding. 6. JAINA'S YOUTUBE CHANNEL - SUBSCRIBE TODAY! 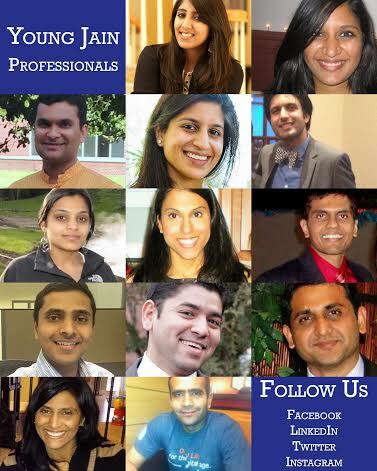 Young Jain Professionals (YJP) Executive Board Applications are NOW OPEN! 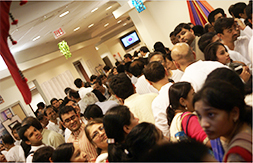 Be a part of an amazing team to help Jain professionals network and inspire each other! 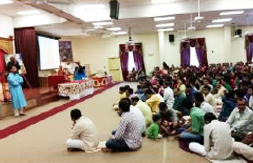 On September 20, 2015, Jain Society of Greater Detroit's Jain Organization of Youth (JOY) held a unique event- TEACHER'S DAY to commemorate the teachers and volunteers of bi-weekly Pathshala.